With technology and social media forever developing and growing, travelling on any journey has become increasingly different compared to how it used to be. The days of using guide books and paper maps to navigate around, compiled by “experts” with information that’s outdated, are no longer relied on. Having access to real-time data and endless travel tips has completely changed the way that all travellers approach planning there next getaway – everything from gaining initial inspiration to booking a holiday. 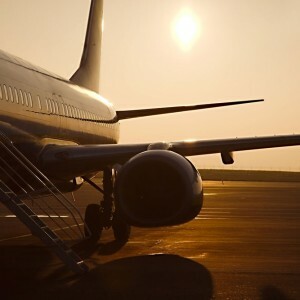 Additionally, consumers no longer decide on their next destination, research the places to go and where they should stay, and then purchase the required airport transfers and flights. Instead, the path to travel, including both purchasing and the experience, has now become nonlinear. 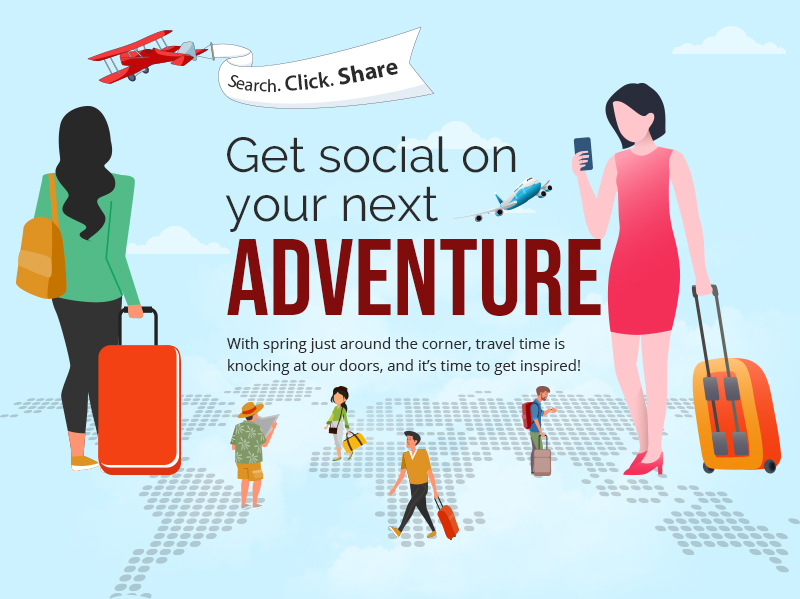 Many decide to ask their friends, coworkers and influencers, within their social media circle, to find the latest travel and holiday inspiration, along with searching for the latest deals to help support their latest travel choices. For example, you can find over 1000 “boards” on Pinterest that have “travel inspiration” within the title alone. The majority are never specific to a particular destination, but instead provide inspirational imagery and travel tips to help create a successful future vacation. 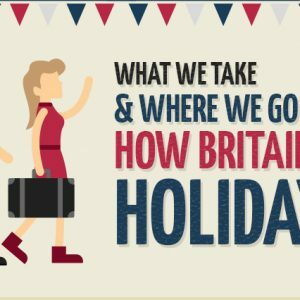 So, how exactly do we use social media when we’re on our travels? Feel free to share our visual with friends, and get in touch if you’d be interested in using our infographic on your website/blog. 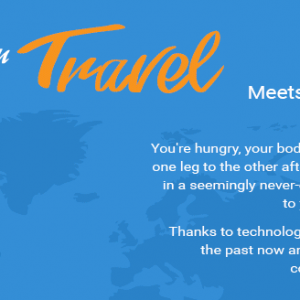 This entry was posted in Your Travel Advice on February 6, 2019 by Jess Whittle.